We are happy to provide our LAY-BY payment service for your purchases- usually on a 30% deposit with the balance payable within 3-6 months of purchase. Note that conditions do apply.… Artwork may only be released once full payment has been received. Can I speak to a consultant about a painting or specific Art requirements? Yes – you can call us directly on 61 7 55779902 with enquiries about the art between 10am in the morning until 4pm seven days of the week. We look forward to your call. In most cases, depending on your location, your order will arrive within 14 days. If your order is likely to take longer than two weeks to fill, we will email you with an estimated delivery time upon receiving your order. After placing your order with us, you will receive a confirmation email. If your order hasn’t arrived within the recommended timeframe, simply email or telephone us on +61 7 55779902 with your order details and we will track your order for you. What if I need to return something I purchased? We are happy to accept returns if they are returned within 30days of purchase. We also ask that the products are returned to us in the same condition you received them, with original packaging, and that you enclose a copy of the original receipt. Return shipping is at your cost. How much does it cost to freight artwork? 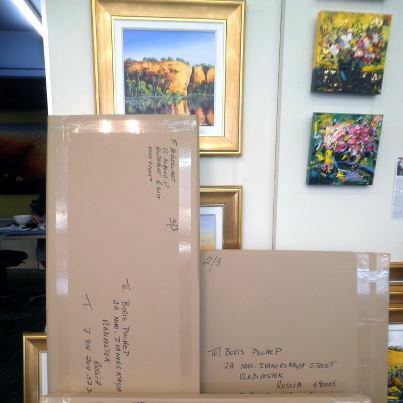 Dalozzo Art offers FREE FREIGHT anywhere in Australia for sizes up to 4XL (150x180cm). Larger orders will incur an extra cost based on destination, size and weight. This can be discussed with us for an accurate quote. We also delivers artwork around the world. To date we have not had any issues exporting on behalf of our clients to any destination. Artwork usually arrives within 7-14 business days from time of order depending on destination. In some countries, customs clearance may take longer and possibly incurs duties and/or taxes. Please consult your government’s international shipping policies for more detailed information. Giclée is from the French word meaning ‘fine spray’. An original painting is digitally reproduced and then carefully adjusted to match the original’s colours. A very advanced (and expensive) version of the desktop ink-jet printer is used to put the image on a variety of papers or canvas. We typically offer our Giclée prints on archival quality watercolor paper and 100% cotton canvas. The printer uses minute droplets of pigmented inks to create prints that cannot be duplicated by other printing techniques… there is no visible dot screen pattern and the resulting image has all of the subtle colors of the original art. This produces exceptional museum quality prints. Although the giclee movement is only a few years old, with the development of stable inks that are said to last from 50 to 200 years, it has become an accepted archival printmaking process and a valuable collectors piece. Refers to a print from a limited edition run. Generally, all limited edition prints are numbered as a fraction with the top digit being that particular print’s number and the bottom digit being the total size of the edition. For example, the number 45/50 means this is the 45th print from a total number of 50 prints produced. The artist will generally sign in pencil on the back of the canvas. Only 10 giclee prints are hand embellished by the artist with special touches, such as colour highlighting, capturing the essence of an original. Each Special Artist Edition is authenticated with a valuation certificate and stamped thumbprint by the artist. Because they are handled much more by the artist, they are regarded as a status symbol in the art world and much in demand by avid collectors. A certificate that accompanies a limited edition print with detailed information regarding the print. DaLozzo Art Certificate of Authenticities can be requested. Hello, We have a print that we are wishing to sell. We bought it from you in about 2002. It is of some clowns. 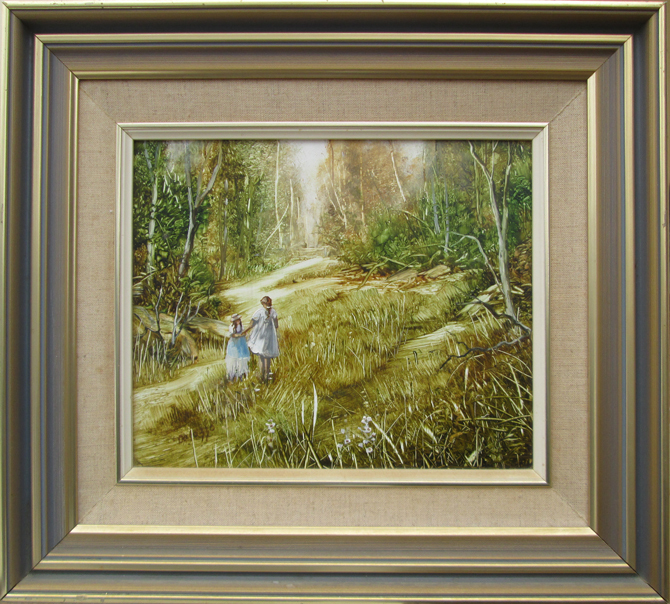 It is a numbered print – 26/99 with a printed by hand QLD Aust seal on it. Do you know a good place to sell this print? I am guessing it is framed under glass. If it is we are finding it harder to sell in todays market. If you email me a photo of it I can give you an idea of it’s value. For resales we are finding most people are trying http://www.artfido.com, ebay or gumtree. Once we have our originals website up and running we could put it up for sale.